Roof windows make an excellent addition to every home and commercial property. Whether you’re having your existing windows replaced, or you’d like to invest in brand new ones, you’ll add seamlessly to the look, feel and function of your property when you choose a professional installer like Surrey Loft Installations. All our work is guaranteed & we offer a free survey and estimate from our fully qualified Surveyor. Combination windows. These are ideal for situations where the roof meets a vertical wall. Centre pivot windows. Opening via a central pivot, these windows allow excellent ventilation and an abundance of natural light. PTP U3, PTP-V U3. Made of aluminium-PVC, this is a window with an air inlet. FTP-V U3, FTP-V U5. Made of timber, this is a window with an air inlet. FTY-V U3 Electro, FTP-V U3 Electro. Made of wood, this is a window with an air inlet, and can also be electronically controlled for ultimate convenience. 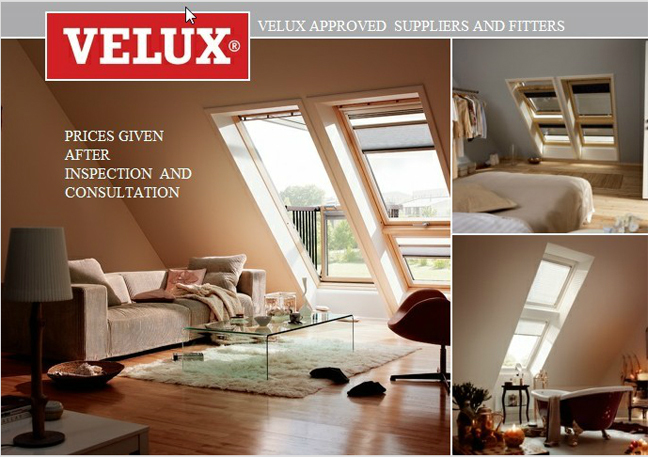 How much do roof windows with Surrey Loft Installations cost? Surrey Loft Installations is pleased to offer its customers competitive prices when it comes to roof window installation. Our fully fitted roof windows start from a very reasonable £599, and can even save you money in the long-term due to their innate energy efficiency. When you ring us for a quote, our fully qualified surveyor will be pleased to offer you a free site survey and personalised estimate. And what’s more, so you’re granted total peace of mind, remember that all of our work is guaranteed. Our friendly team looks forward to chatting with you. Free phone on 0800 169 651 or write to us via our contact form. Remember, we’ll be pleased to offer you a completely free site survey and estimate, so there’s really no reason not to make an initial enquiry!